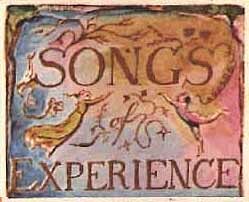 Songs of Experience is the second part of Songs of Innocence and of Experience: Shewing the Two Contrary States of the Human Soul (first published in 1794), an expansion of Blake's first illuminated book Songs of Innocence. The poems and artwork were reproduced by copperplate engraving and colored with washes by hand. Blake republished Songs of Innocence and Experience several times, often changing the number and order of the plates. 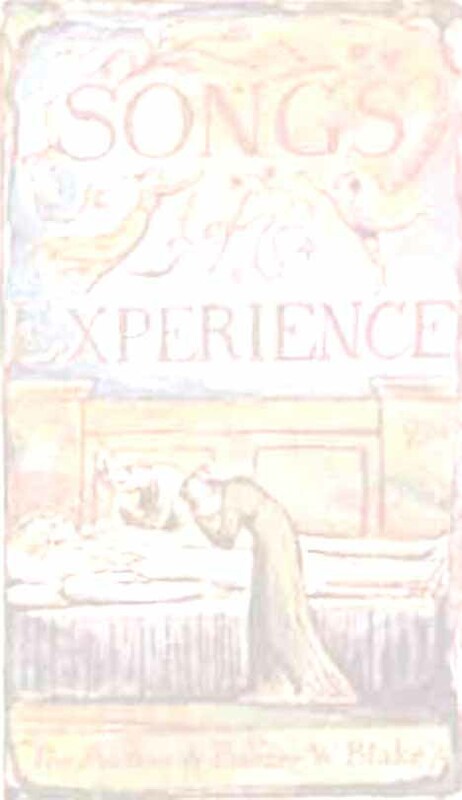 The spellings, punctuation and capitalizations are those of the original Blake manuscripts. When buds and blossoms grow! Or the plowman in darkness plow! But I said I've a Pretty Rose-tree! And I passed the sweet flower o'er . That so many sweet Bowers bore. They strip'd him to his little shirt. Strangers came not near her fear. Visit Gail's and Richard's Home Page.